In the healthcare industry, uniforms and clothing are of the utmost importance. Uniforms protect employees from contaminants and make an employee’s job easier; each uniform and clothing item serves its own purpose, whether it’s a lab coat or a set of scrubs. 1. Medical scrubs provide adequate protection against bodily fluids. High-quality medical scrubs are made of fabric thick enough to prevent a patient’s bodily fluids from making direct contact with the wearer’s skin. 2. Scrubs are economically efficient. Scrubs are designed for maximum use and cost efficiency. They are made of high-quality fabric that is both inexpensive and can withstand even the most thorough cleaning process possible. This means that they can last through years of wash and wear, and are easy to replace. 3. Scrubs provide comfort and range of movement for the wearer. It’s no secret that healthcare professionals have some of the most physically straining jobs around. 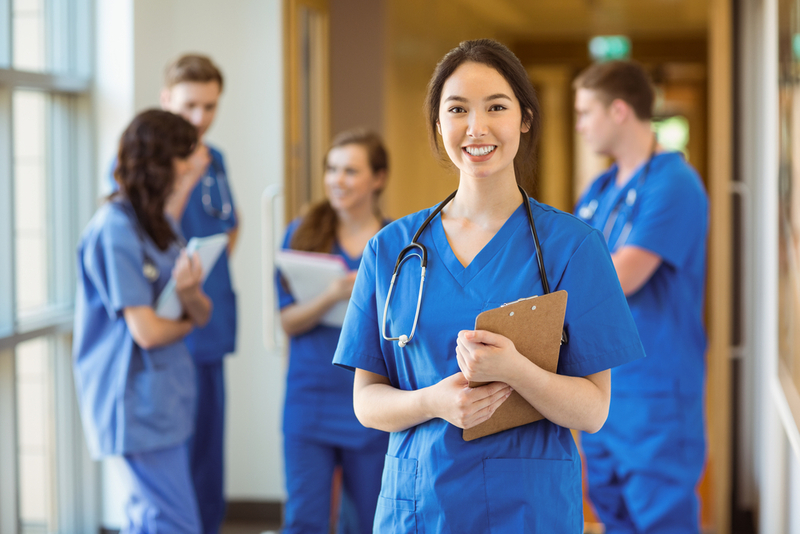 Aside from the exposure to harmful pathogens on a regular basis, they are also the ones who are expected to stand on their feet throughout their shift, work through long hours, lift patients, or move around the clinic for hours on end. To perform their jobs efficiently, they need uniforms that will give them optimum comfort. Scrubs are designed to help make the job easier for the wearer, with their large pockets and their range of motion. 5. Scrubs make healthcare professionals easily identifiable. Like every company uniform, scrubs provide easy identification of the location’s professionals. These identifications are usually enhanced with custom color combinations or clinic logo prints/embroidery. 6. Scrubs help protect against cross contamination. Cross contamination is not just a problem within a facility but is also a community health concern. Medical scrubs that are processed in a specialized facility (and not in employee homes) prevent the spread of possibly contagious infections and viruses. Scrubs must be cleaned with as much precision and with the same focus on hygiene as any other medical care linen. Learn more about medical scrubs and our wide range of options available for your facility! Contact MedClean today at 630-833-7393 to speak with one of our consultants and get started on your medical uniform linen service!